The first stage of the Nord Stream gas pipeline, which will carry Russian gas to European customers, and contribute significantly to European energy security, has been completed. 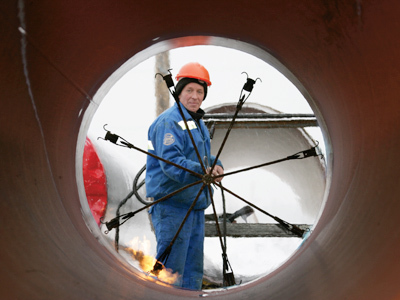 ­Friday saw Russian government officials witnessing the welding of a golden joint in the first section of the Nord Stream gas pipeline in Portovaya Bay, near Vyborg, in the Leningrad region. 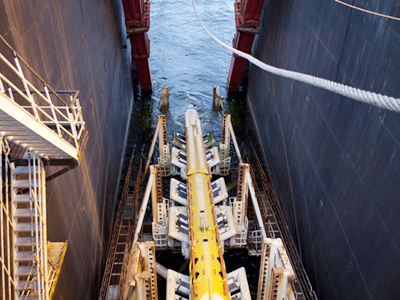 The completed section will link the Russian shore with the undersea segment, which will run underneath Baltic Sea to Germany, becoming part of the European gas distribution network and major gas source for Great Britain, Germany, Netherlands and France. 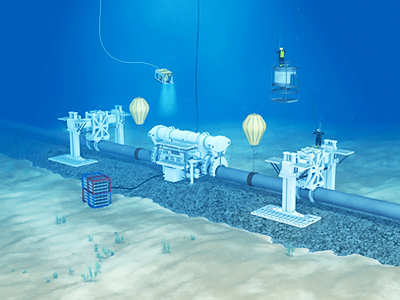 The second section of the pipeline, of which about 600 kilometres has been laid, will be ready by the end of next year, when Sergei Serdyukov, Technical Director of the Nord Stream project, says the project will be finalised. Russian gas has only two major export routes to consumers in Europe with the system passing through Ukraine – which has been the subject of a number of contractual disputes in recent years – carrying larger volumes than the system passing through Belarus and Poland. The Nord Stream pipeline will play a key role in reducing reliance upon these routes, with the South Stream project passing through the Black sea into the Balkans providing another alternative supply route. 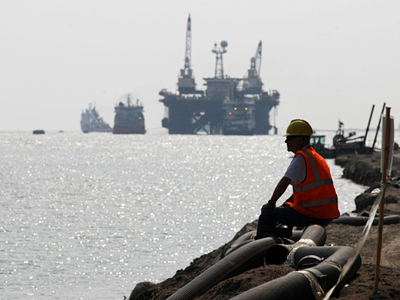 According to forecasts by Russian monopoly gas exporter, Gazprom, by the year 2030 demand for Russian gas imports will grow to 200 billion cubic meters. Gazprom Chairman Alexey Miller, says the Nord Stream pipeline is designed to meet future demand and boost supply capacity.